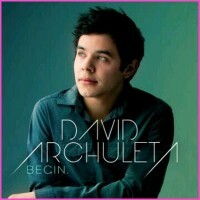 Benedict meets @DavidArchie: Fame, what’s your name? 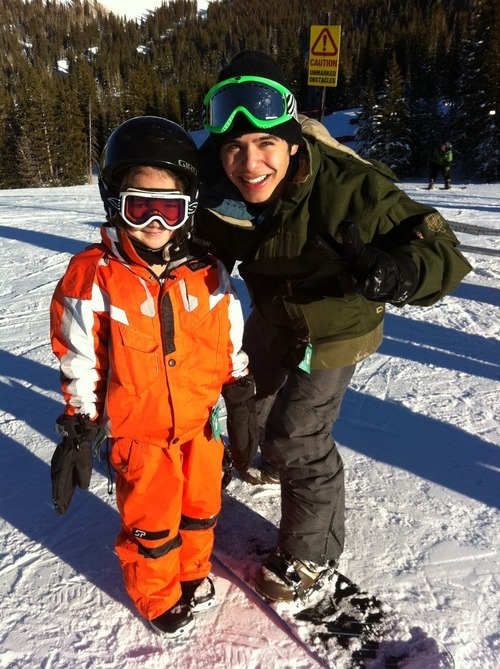 Goggles and snowsuits can’t hide The Archuleta. The lovely Jonerz sent me this quote from the actor Benedict Cumberbatch (yes, that is his real name) on fame and I couldn’t help but think of David, and how he’s handled his “ever-shrinking island” of privacy, and other trade-offs for being a well-known face. I have always been impressed with the way David’s handled his “fame” since Star Search days. I noticed that whenever an interviewer asked him what it was like to be famous, he’d say something like, “It depends on what you mean by that word … more people know who I am now” … it really struck me what an accurate non-boastful way it was to describe celebrity. Simply that more people know your face… and think they know you. “If fame affords me the type of ability to do the kind of work I’m being offered, who am I to complain about the downsides.” In David’s case, you could think of that statement in terms of his music career but also the loftier goals he appears to set for himself … to help and serve others… to help and serve God. What do you guys think? Will the assault on David’s privacy ever drive him from the music business? Or is he savvy enough to know that it’s part and parcel of the path he’s chosen to take? And will the fact that his career hasn’t blown up to Bieber-size proportions yet help him retain a more private personal life? 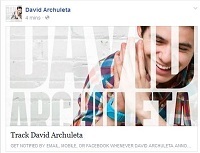 15 Responses to Benedict meets @DavidArchie: Fame, what’s your name? Happy Thanksgiving SAz’s! Cannot wait to see everyone at some DA performance in 2014! 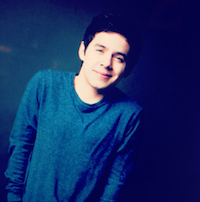 I’ve always been impressed with the level of maturity Mr. Archuleta displayed during AI and beyond as to fame and celebrity as well as protecting his privacy. Wise old soul stuff. I believe he does music b/c it is what he was born to do, his passion, a god given talent and nothing will prevent that from happening. Lots of celebs handle their privacy and the press respects their boundaries sooner or later. Of course, the greater the fame, the greater the intrusion. I believe David will handle what happens in the world of celebrity. His creativity/music won’t be denied. As far as how far he goes and how famous, only time will tell. I don’t think he looks at this as being famous or the best in his genre…more as an opportunity to express his craft, his gift to as many people as feasible. 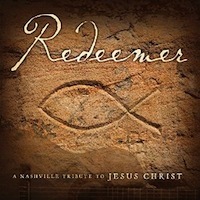 Humble, grateful with a wide open throttle and undeniable drive to sing. I think many celebrities develop a sort of love-hate relationship with their fans as they suddenly become popular and try to navigate between being accessible to the people that support their careers while attempting to maintain a level of privacy for themselves and I think that finding the right balance only comes with time and experience. Have never had a single concern about him and any of the trappings of the industry. He just has a good head on his shoulders, as my grandma used to say. Thanks jonerz, really like that, and your thoughts! Happy Thanksgiving, all you beautiful Canucks! Like Emme, I’m not concerned about D. I WAS, but am not anymore. He can’t bring himself to say the word celebrity, he turns it into another phrase. I like this post – it provokes many deeper thoughts. Hah! My name is trace or tracewillow, not that weird name that appeared. What happened to WordPress?! Guess you’re an Ace! 😉 and I totally agree about narcissism never touching him. I think that’s one of the things that make him so rare and so pure as an artist. I remember as far back as the Idol tour watching David interact with big crowds of fans at the buses and thinking how much I’d HATE doing that–and he was so happy! I have enjoyed reading the post and the comments. It has been an amazing many months of interesting and funny posts. I have my favourite one … Not certain of the title, but it involved living under the bridge. My husband said TOfan that you should be a stand-up comedian. I said, that you are for us already and definitely right when we needed it! “Happy Thanksgiving” …. I hope you all enjoy this beautiful fall weekend! A very Happy Thanksgiving to all! Yes, enjoying this beautiful fall weekend with family, friends and much gratitude. Loving everyone’s comments here. Jonerz, can relate to Sara’s song when it comes to D, thanks for that, love Sara too. missbianca….love the card, so warm, sweet and vibrant! Been gone; catching up. First, an almost-too-late but sincere Happy Thanksgiving to my Canadian friends! Happy Thanksgiving peeeps…………. so thankful for (((((((((TOfan))))))) and this site!! Good thoughts on David and fame.> I really can’t add a thing but will try!! The word that comes to mind when I think about David and his fame is “grace” He is ALWAYS so grace filled in how he acts towards fans as well as media peeps and everyone he comes in contact with. Seems his lack of ego really helps him keep “fame” in a good healthy perspective! I think he he savvy enough to balance fame and privacy….. Totally agree re David’s lack of ego… some of his fans seem to have a bigger head than he does, lol… Happy Thanksgiving SAZ!